There are many things to consider when selecting the right workforce technology to help manage employees. Investing in the right tools not only benefits the company as a whole, but it also helps attract and retain the best talent. The experience you provide for your employees today will determine your company’s future. This article offers tips on how to select the right technologies to manage your employees and streamline your HR processes. In an unpredictable world, scheduling is not easy. Each employee is juggling multiple tasks other than work such as school, family and sometimes additional jobs. With more organizations becoming concerned with promoting work/life balance, initiatives such as flexible schedules or providing schedules in advance only make it more difficult for managers to schedule their employees. Managing your employees’ schedules is a critical component in effectively managing your employees. This is where employee scheduling software comes in. Whether you run an online enterprise, fast food franchise or a local business, employee scheduling software can benefit your workforce and minimize the time and effort it takes to build schedules. Employees should have a chance to communicate their desired work hours. This introduces a collaborative environment where managers are aware of employee preferences. Employees are able to adjust their schedules and easily request time off from their own device. Efficient employee scheduling is the backbone of employee happiness, leading to higher productivity, lower turnover and improved staff loyalty. Recruiting a new employee is an important investment, not only in terms of money but also time. Onboarding becomes easy with employee scheduling software. Employees can view important documents in the communication hub such as company announcements and HR policies. New employees have all the information they need, all from one platform. Almost all employee scheduling solutions provide reporting features. Managers can retrieve real-time data to get insights on labor budgets, actual timesheet costs, sales transactions and other employee variables to keep your business on the fast track. Creating a schedule can take hours to complete. With employee scheduling software, the process can take anywhere from 20 minutes to a few seconds. Some scheduling software allows managers to auto-schedule their staff. In other words, the auto-scheduling feature can forecast labor demands (such as how many people you need working at any time) from historical data to create error-free schedules. Schedules can be accessed and updated any time, anywhere. A mobile scheduling solution can prevent employees from showing up late or misreading the schedule. Many tools allow for notifications via the app or by SMS to help remind employees about their upcoming shift or alerts about any changes to the schedule. New laws are changing how employees are scheduled. These highly-regulated laws include overtime, predictive scheduling, meal and rest breaks, and more. In order to stay within the law, employee scheduling software helps organizations maintain compliance with real-time alerts for any scheduling conflicts. To learn more about which laws affect your business, visit the Department of Labor website. Payroll software is used to manage, organize and streamline employee’s pay. Payroll software can be used by businesses big or small and can vary in price. 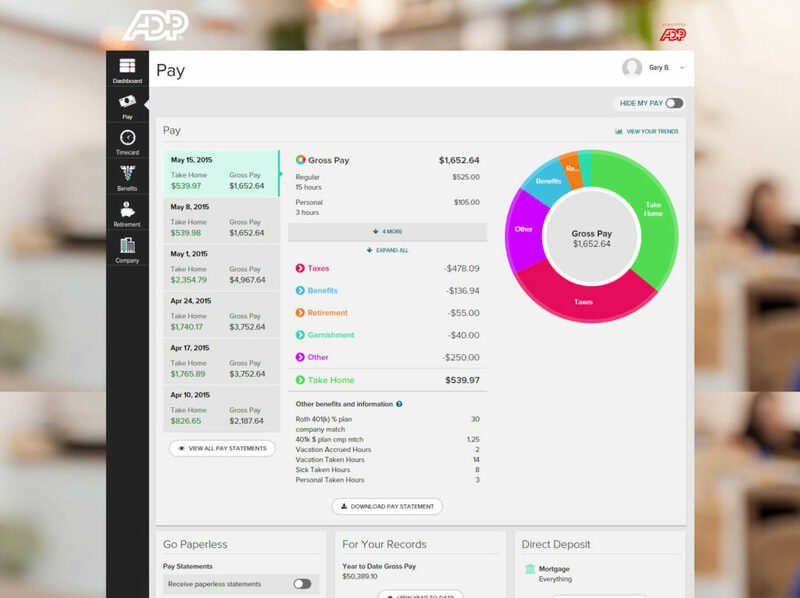 Online payroll software simplifies calculating wages, paying employees and filing taxes. Most importantly, payroll software takes away human error and can save managers time. As a result, the payroll process becomes more accurate and streamlined for related employee management processes. Sensitive data such as employee details and important company information are all stored in the payroll software. One of the most helpful features payroll software offers is the compliance feature. This feature makes sure to check any payroll mistakes. Staying compliant can greatly lower the risk of fines, penalties, and even lawsuits. This is generally an expected feature for every payroll software. These days, employees expect this feature to be available to them at every company. Direct deposits can help prevent fraud and are a convenient way for employees to receive their paychecks. Reporting goes hand-in-hand with tax compliance. Credible payroll software must have this feature to allow for seamless reporting to hand over to government agencies. Many of these agencies request reports yearly, so this feature can be extremely helpful. This is a key payroll feature that lets employees view and manage their payroll data. Not only does this provide transparency between the company and the employee, but it also frees up time for HR to focus on other priorities. Some payroll vendors not only calculate income taxes to withhold and generate W-2s, but they will also file your employment taxes. This feature takes out the tedious paperwork many managers or HR professionals have to deal with when tax season rolls around. Furthermore, automating the tax process ensures taxes are filed on time and correctly, preventing any possible penalties. Social collaboration software (SCS) or communication software is a growing marketplace of easy-to-use platforms that can handle employee social interactions within a business. These tools can increase communication which — in the end — increases productivity. However, many businesses are hesitant to invest in such a platform. This has caused business owners to lose money. In fact, for a business with 100 employees, the average cost of poor communication is $420,000 per year. That said, effective communication is crucial for the success of a business. If you don’t use communication software, you run the risk of miscommunication, which leads to costly mistakes. Aside from handling day-to-day message exchanges and instant communication, this tool can be used to conduct remote meetings in real time, organize and store sensitive company data and much more. Communication software combines multiple communication tools into one interface, making it possible for employees to see who is online or offline in real time. This saves the delays that come with awaiting an email response. Using communication software like Slack or Skype allow employees to instantly communicate with another staff member.  Users can easily save important messages, calls, contact information and more with communication software. Important information won’t be lost in translation from face-to-face communication since it is clearly spelled out. This is essential for busy people who are struggling with their work/life balance. Most communication software are available on mobile devices, which provide 24/7 access from anywhere. An hourly employee would find this feature extremely helpful for last-minute shift updates or cancellations. Communication software can also create a supportive and stimulating channel. It’s important for your employees to feel connected, so having an easy way for interest groups to communicate creates a sense of community and culture. With task management software, team productivity and collaboration improve. It can help companies large and small focus on critical tasks rather than letting tasks pile up and be forgotten about. What’s more is these tools are now ubiquitous for those who work online. From managing your employees’ workloads to creating agendas for one-on-one meetings, task management software can greatly benefit your business. Select the right software and you’ll be well on your way to building a more productive team to help scale your business. In order to complete a project, every team member needs to be aware of their responsibilities. A good project not only affects the team, but also affects the company as a whole. Because of that, upper management needs to know what’s going on. Task management software provides more visibility of the project status, thus creating accountability for each individual. Many task management software also allows alerts on upcoming or overdue tasks to ensure the project is completed on time. With task management software, it’s possible to track every minute spent on each task by each employee. This helps managers not only keep track of productivity, but also gives workflow insights for the next project. With more businesses concerned about cybersecurity, it’s vital to protect sensitive data. Task management tools provide security features that allow you to restrict access, which is especially important when dealing with client information. This is essential for project success. With task management, collaboration is easy. Team members can share ideas, make real-time updates, provide feedback and much more. Your team really is your most valuable asset, and your team will keep adding value once they see how much you invest in them. The above software solutions will not only empower your employees, but can also benefit your company’s bottom line. With that said, it’s critical to find a solution that works best for you. Succeeding in managing your employees effectively requires you to think about things from your team’s point of view. All employees are unique and require different methods of management and training. Most of the technologies mentioned above offer free trials, so test out a few to see what works and what doesn’t. What technologies help you better manage your employees? Were there any that I missed? Leave a comment and let me know! Kristin Eriksen is a creative and results-driven content specialist at Deputy. She is a recent grad from Florida State University with a degree in Information, Communication, and Technology. In her spare time, she enjoys reading a good book, the sounds of a great playlist, and seeking adventures in the outdoors. For managing your employees in an effective manner there is no doubt that collaboration tools are the best. I have been using FLEEP from last 4 years. Great tool for managing your task and other projects. Thank you for your great article! You made a great point about how having employee management software can save a lot of time, because a schedule can normally take several hours to complete. My brother is starting up a business and is looking for tips. I will definitely pass on the information I learned about employee management software to my brother so that he can utilize it in his business.